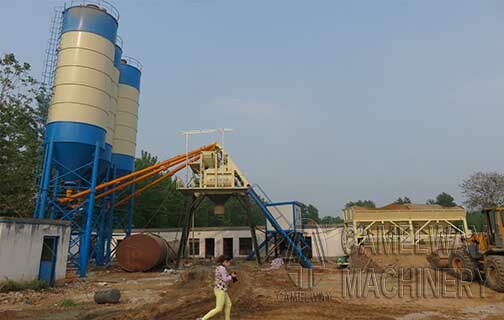 Mobile concrete batching plant is specially designed for project with short construction time, long construction line, frequently changing construction site. This mobile concrete batching plant combines aggregate batching, weighting, conveying, mixing, discharging and full automatical control system together, they can be tracted by tractor or other carrier, so that it can easily moved. Zhengzhou CamelWay Machinery manufacture has an extensive user base in the country, enjoying a high popularity. Some products are exported to Vietnam, Laos, Kazakhstan, Mongolia, Russia, Cuba, Brazil and other countries, being highly praised by foreign friends. If you want to know more information about the concrete mixing station or buy it, you can contact us. This entry was posted in Solution and tagged concrete bahcing plant by camelway. Bookmark the permalink.